Over 50% of people do not believe that downloading music and/or video from the Internet without paying is theft but, if artists and associated companies can not generate a revenue from the media that they produce, how can they be expected to afford to continue to do it? It shouldn't take an economics genius to realise that only the major labels will survive a trade war forced onto the independents by the very people who they write music for. Most of those who are currently effected by media theft are smaller artists, independent record companies and film studios trying to establish themselves - not established major labels [who are owned by the banks and so who have more money and, the capital reserves to survive a price war]. If people continue to steal music, it is the independent UK music industry and the UK economy that will be weakened and, there will eventually be less choice of music and less artists to choose from as only the major labels will survive. 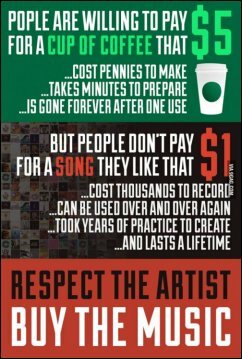 In principal, people who download art for free are people who are happy for others to work for them for free [outright slavery]. In addition and in complete hypocrisy, free downloaders often complain and protest against the capitalist systems that they themselves now represent. Put simply; by downloading without paying, consumers are forcing a price war onto the industry that ONLY the major labels can survive and, it is these same labels that consumers of music complain about regarding music monopolies and prices and, just because the major labels and their banks [non-musicians and non-music industry workers] haven't yet joined the dots doesn't mean that this won't be the outcome. 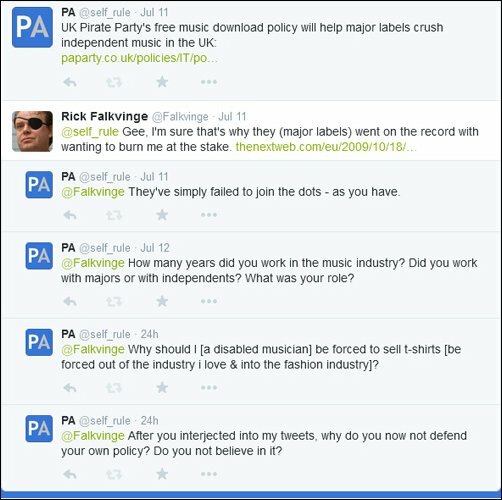 As well as being hit by theft from those who they write for, independent artists also have to work within an industry that is more and more politically geared against them and, most musicians and their fans aren't politically or socially motivated so they don't see or don't care that the entire independent music scene is under threat. The nation's independent local radio stations have now all sold themselves to global corporate media organisations who use centralised play lists so, the only way that local artists can get any exposure is through on-line mechanisms, radio pluggers, or the BBC's Introducing service. 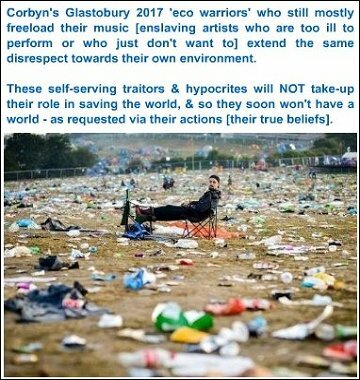 Generally, unknown artists can't afford web marketing agencies and radio PR so they end-up submitting to the BBC but, the BBC is wholly subservient to Cameron and the combined effects of all of this amounts to a gatekeeper system that see's only politically conformist artists becoming mainstream. Whilst we believe that music downloads should be free in a libre sense [as in no cost to the freedoms of the customer], free downloaders/file sharers, non-musicians and the music industry intelligentsia who have failed to join the dots and who dictate that musicians should give away their recordings and instead generate a revenue from live performances and sales from t-shirts and other merchandise [which is effectively a move away from the music industry and into the fashion industry] do not care that such a policy is both discriminatory [there are many disabled musicians who do not have these options], and undemocratic [not even politicians dictate to this degree]. In our view, this is communist-style dictat that removes the right of musicians to choose to sell music itself and, to choose [for whatever reasons] not to have to perform live. 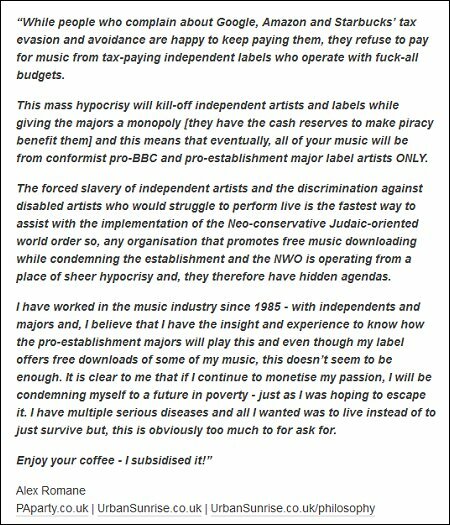 If you want a music industry that consists only of bankers, major labels and their puppet artists and, if you agree with the cleansing of disabled musicians from the industry and with capping personal incomes, just keep downloading for free and you'll get it! In total dismissal of our 2010 disclosures about Prism [confirmed 3 years later by Edward Snowden], the Pirate Party founder states that; "The only way to even try to limit file sharing, is to introduce surveillance of everybody’s private communication." as if this wasn't now happening and [as explained on this page], mass surveillance is NOT required so as to stop illegal music downloading. The UK music industry generates approx. £4 BN per year [including revenues from live performances] and so if this is reduced, not only does the UK music scene become less productive, but tax revenues paid by the industry to the treasury will also fall and this will lead indirectly to a higher tax burden on all of us. In order to help protect UK artists and independent labels against media theft, should the People's Administration install direct democracy, we propose that UK Internet Service Providers set in place monitoring software that alerts to multiple or highly prolific music and video downloads that are not supplied from legal distributors and, we propose that those who infringe this law are actually prosecuted for theft by post, just as speeding drivers currently are [for example]. Parliaments' attitude towards this proposal is that it is not workable - again demonstrating their lack of insight into Internet technologies. How is it that it is viable to penalise every speeding driver or tax evader by post, when proving music and video download theft is even simpler, especially when considering a postal fine system for this offence? The government argues that when Internet customers change address, they have no need to inform their ISP of the change of address and so therefore may not receive the letter. However, if customers do not inform their ISP of a change of address, they will not be able to continue to receive services from their ISP because the ISP has to install a connection to the new address for the service to resume. It is again, highly demonstrative of Parliaments' lack of knowledge of basic Internet and ISP protocols, that they do not even understand this much. Furthermore, the People's Administration believes that until such a policy is written into law, the establishment will continue to exploit this issue as an excuse to push for further web-related restrictions - in exactly the same ways that Western governments are now increasingly abusing anti-terror laws in order to restrict the communication and expression of their own citizens.